Happy Friday loves! 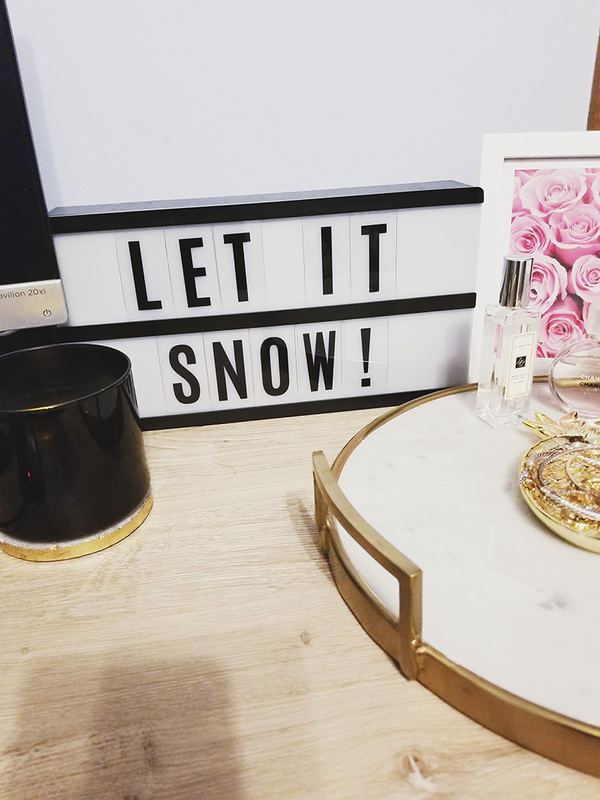 We got our first snow today and I couldn't be more excited!! We don't usually get snow this early, it usually comes (if at all) after December. 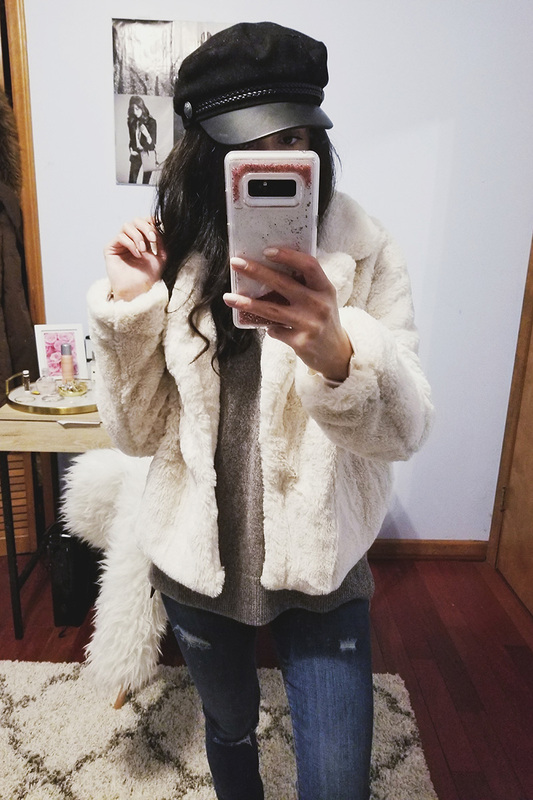 So I finally had a chance to try on my black Friday purchases and take pictures for you guys! First up are these UGG boots. 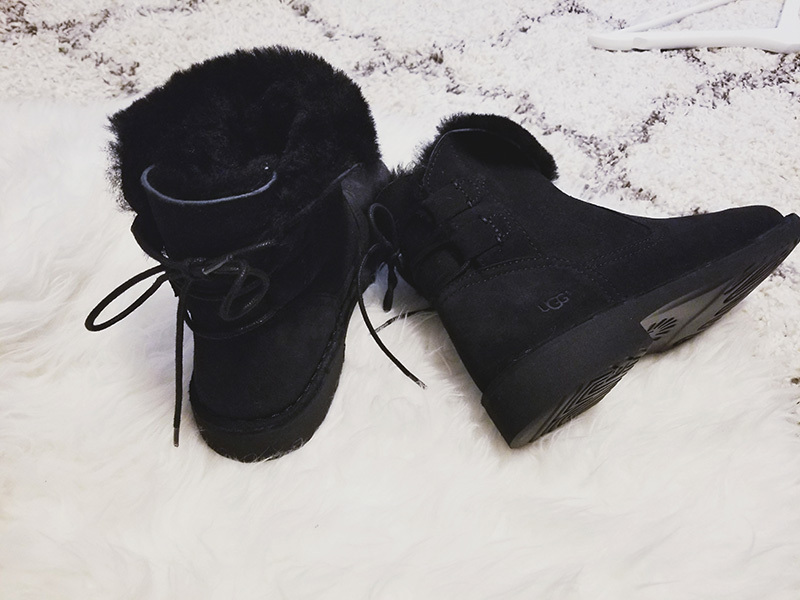 I need a warm pair of boots to wear with leggings and casual outfits and these fit the bill perfectly. 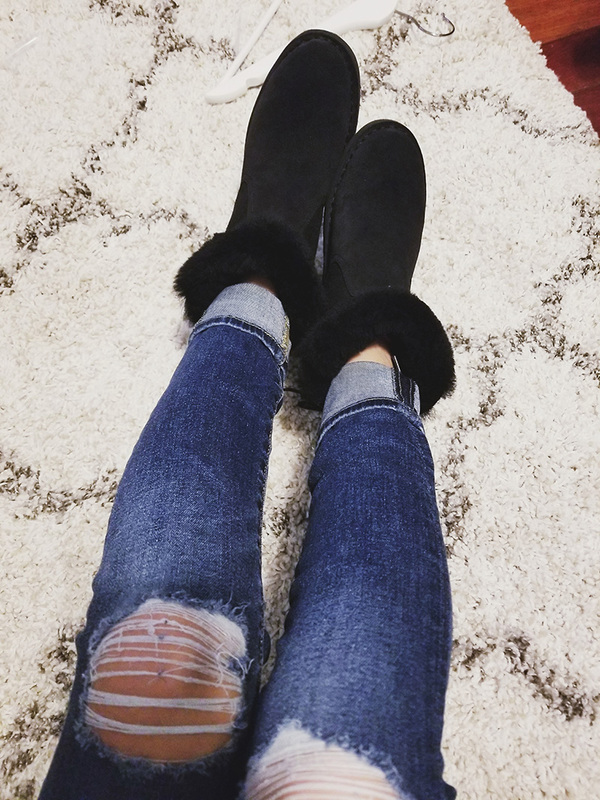 They are a little different from other UGGs because they have a slimmer design and look less bulky which I love. I got them in the mail on Wednesday and I've been wearing them every day because they are just so comfy!! I also picked up this to go with them. As for fit, I went up a half size because some reviews said they ran narrow. 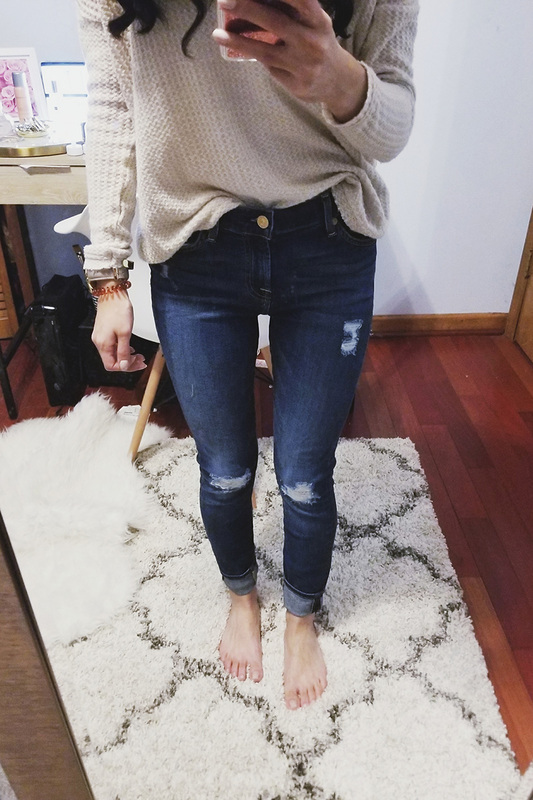 Move over AG leggings jeans, 7FAM is my new favorite! 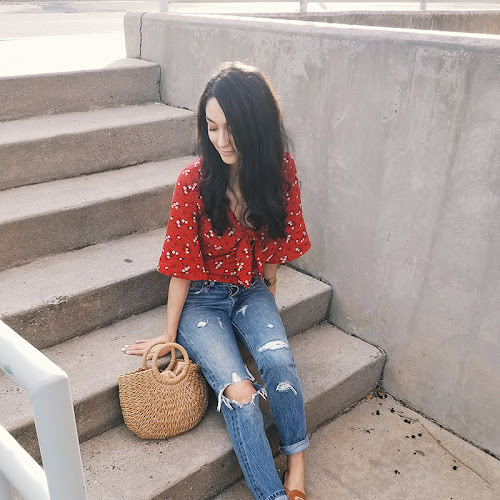 I love a super fitted jean that is still stretchy and comfortable yet keeps its shape all day. These have all that and more. 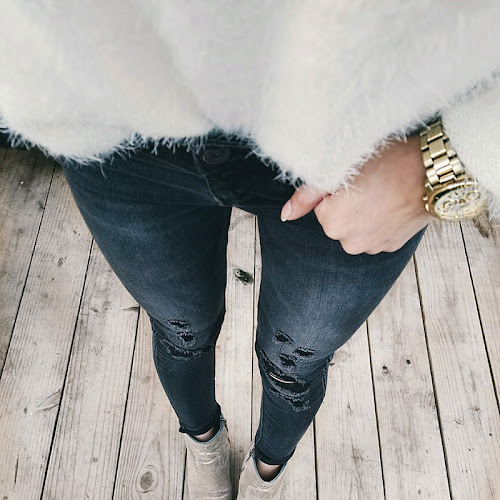 The distressing and wash are perfect and have quickly turned these into my everyday jeans. These fit true to size. 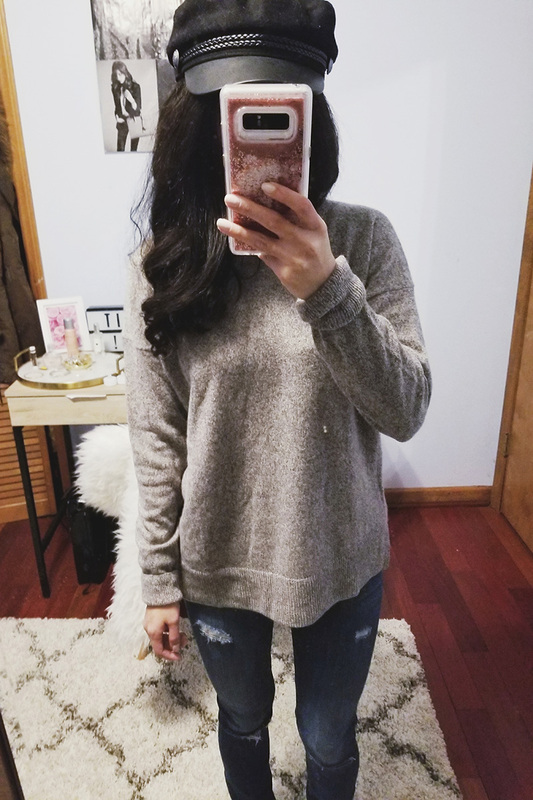 If you're looking for some super soft and good quality cashmere sweaters try one of these! I loved the Black Friday price (under $60!) but wouldn't mind paying full price now that I've tried them. I bought mine in the heather brown color and it is a gorgeous neutral. It's super warm and a great layering piece. I got mine in size S and find the length to be perfect for leggings. THESE are my favorite leggings (Wearing them in the last photo!). 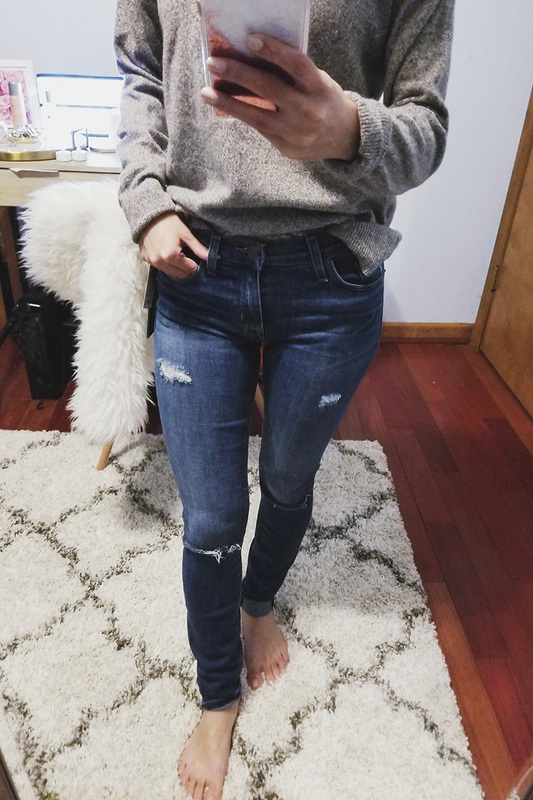 These jeans fit like a glove and I think they might be the most comfortable pair of jeans I've ever tried on! There's just one thing about them that is stopping me from ripping the tags off and keeping them... The knee rips. They hit me below the knees and I think it's a bit unflattering and looks weird. But maybe it's just me. Other than that they're amazing! For now, they'll just sit in my closet while I decide if I should keep or return. These fit true to size. I didn't buy these last two items during the Black Friday sales but I figured I would show you guys anyways. 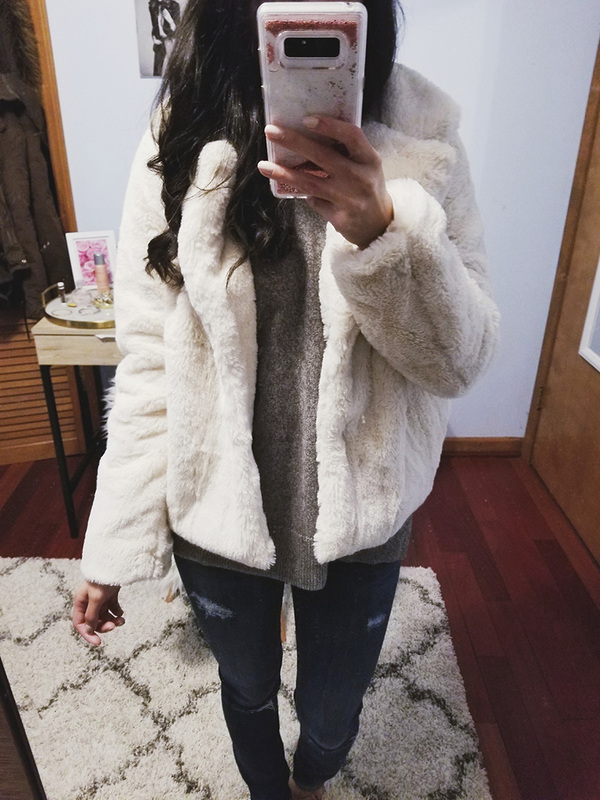 This jacket is super soft and was under $35. I haven't worn it out yet but I know I'll be super warm whenever I decide to. 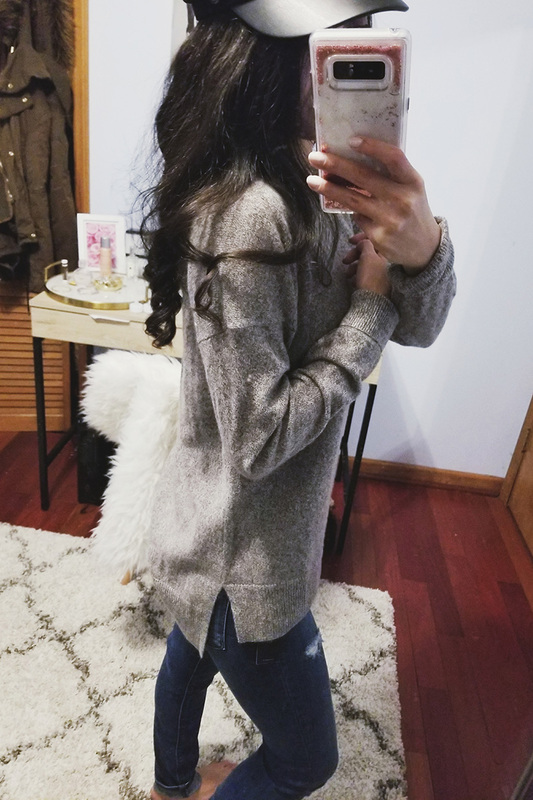 Love love love this sweater! 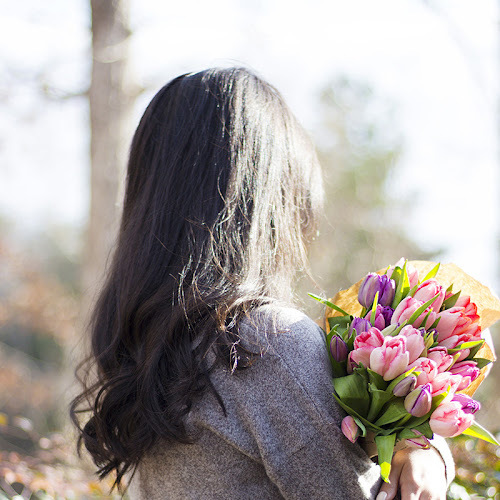 It's so cozy and the kind of sweater you just want to wear all day long. 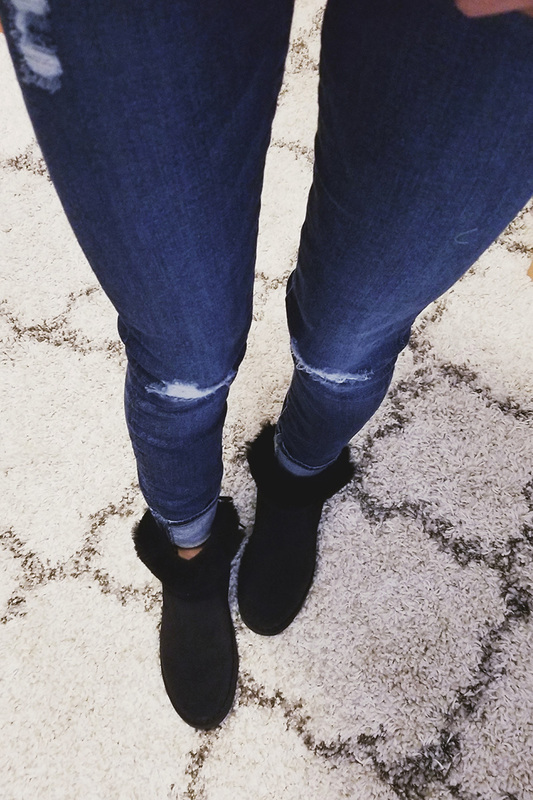 The length works great with leggings - these are my favorite. Those are all of my most recent clothing purchases. What did you guys think? 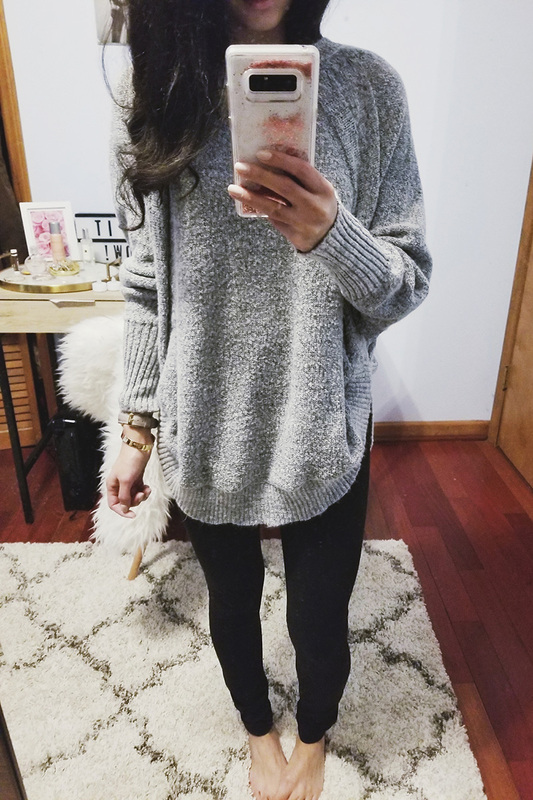 That grey sweater is definitely a must-have! I bet it feels so soft and cozy. I love the over sized style too, which makes it really warm and comfy to wear. Yes girl! 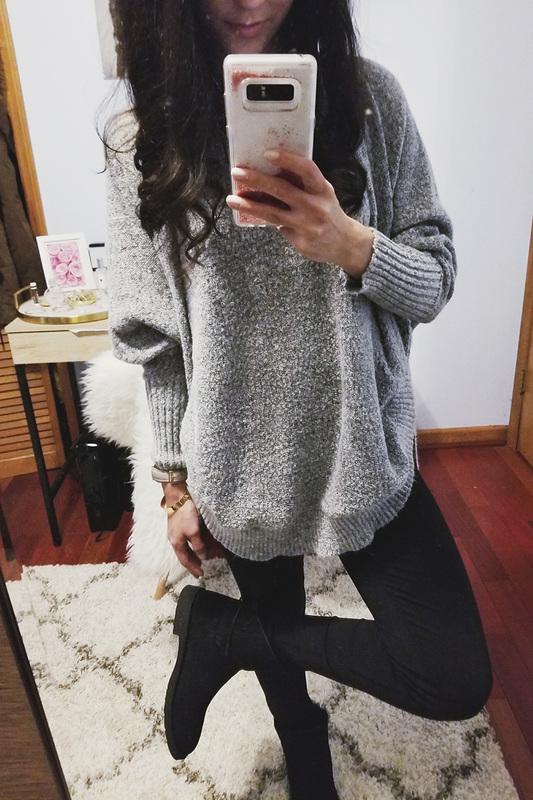 I can't get enough grey! It's the coziest and I don't want to take it off haha!